Do you want to stop smoking but have not succeeded yet? We can help you stop the smoking habit for good. Although we appreciate there is some form of addiction with smoking you will agree with us that most of the times you smoke during the same activities. Hypnotherapy can be very effective with breaking habits such as smoking as it makes fundamental changes at a subconscious level helping you to stop smoking easier. We can train your mind to dislike cigarettes and want to live a smoke free life and stop smoking for good. For many people, hypnosis has proved to be the best and easiest way to quit smoking, quite often with just a single session - in fact, an article in the New Scientist, in 2003, stated categorically that hypnosis is the most effective way to quit smoking. A frequent comment is that there is just no urge to smoke after the 'stop smoking hypnosis' session and this happy circumstance seems to be sustained for the vast majority of individuals. We use the award winning Easy Quit Smoking program developed several years ago and since then have helped many people to quit smoking with hypnotherapy allowing them to live a healthy and happier life. We also use NLP techniques which we learnt from studying with Paul McKenna. How Birmingham Hypnotherapy Clinic Helps you Stop Smoking? The Cost of Living a Healthier Life After Stop Smoking with Hypnotherapy? A Stop Smoking session for one to one client sessions is £180 which for many smokers this is the average monthly cost of a product that actually damages their health. 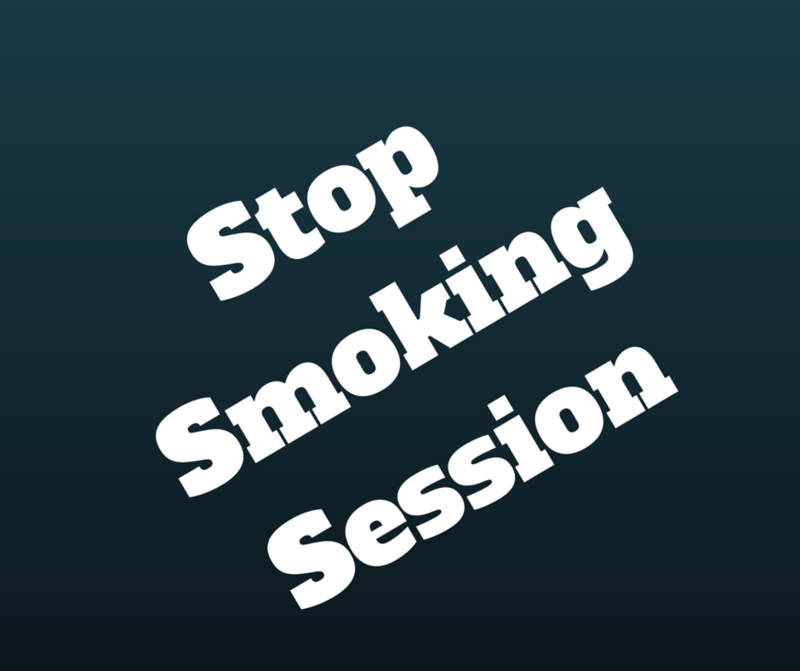 We provide individual stop smoking sessions and group stop smoking sessions. If you would like to know more about the cost of the investment to stop smoking or you would like to arrange a group stop smoking session please Contact Us for more details. The Cost of Living a Smokers Life? Besides the financial cost of living a smokers life, which you can easily calculate the biggest cost is to your own life and health. You can find more on BBC's website. To help you calculate the financial cost for an average smoker lets assume you have pack a day at approximately £7 per pack time 30 days that is £210 per month. Stop smoking session. Approximately 1.5hr long session where we help you increase the motivation and belief that you can stop smoking for good. You will understand what was stopping you from becoming a non smoker until now and how you can be a non smoker for the rest of your life. We will finish the session with a powerful hypnosis session so that you can walk out of our premises a non smoker. Are you ready to quit smoking with hypnotherapy? There are many famous people who rumored that they have stopped smoking with the use of hypnosis. Ellen decided to show it. a Below is the video where Ellen stopped smoking with the help of Paul McKenna. The answer is yes we do use the similar techniques. An one to one session is much more beneficial and more helpful to you when you want to stop smoking for good as it is tailored made to you and to your goals rather than an off the shelf stop smoking hypnosis CD. Book a Stop Smoking Session Now. This study examined 18 cases over the course of 7 years in which hypnosis was used in an attempt to assist the subjects in overcoming a variety of substance addictions. Fifteen cases related to alcohol, two to cocaine and one to marijuana. All subjects were received daily hypnosis sessions over a 20 day period and then reassessed a year later. While the sample size was small it was found that these daily hypnosis sessions led to a 77% success rate. The Institute of Actuaries conducted the largest study to date on smoking cessation. The study analyzed the results of 633 previous smoking cessation studies involving a total 71,806 participants. This study found that on average only 20% of people were able to quit smoking and remain smoke free. When they examined the data they found that of all of the techniques used hypnosis was the most effective. They found a single session of hypnosis (30% effective) was 3 times more effective than nicotine gum (6%) and 5 times more effective then willpower alone (10%). Studies involving multiple hypnosis sessions had even higher success rates with 10% of the studies analyzed reporting 60% success rates. This study included 60 participants randomly assigned to one of three groups: one group received a placebo, one group received a single hypnosis session and one group received no treatment. When followed-up with at 4,12, 24 and 48 weeks it was found that significantly more participants in the hypnosis group had quit smoking than either of the other two groups. Among those still smoking the those in the hypnosis group were smoking significantly less than the other two groups. Performance by gender in a stop-smoking program combining hypnosis and aversion. Psychol Rep. 1994 Oct;75(2):851-7. Johnson DL, Karkut RT.